Click on the button below, read the terms and conditions and submit your application. Download the banners you want to display on your site. Link your banners to the unique Affiliate ID that was mailed to you after you signed-up. This unique Affiliate ID allows us to properly credit you with the bets that your site visitors make. Replace XXXXXX with your unique Affiliate ID that was mailed to you after you signed-up. 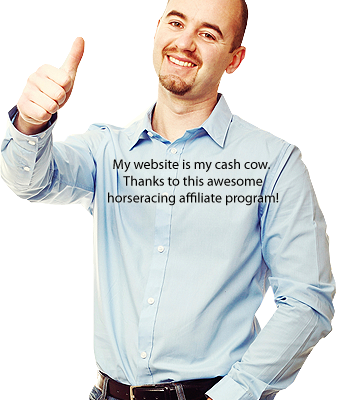 You are now ready to earn big bucks from your visitors' wagers. Congratulations!